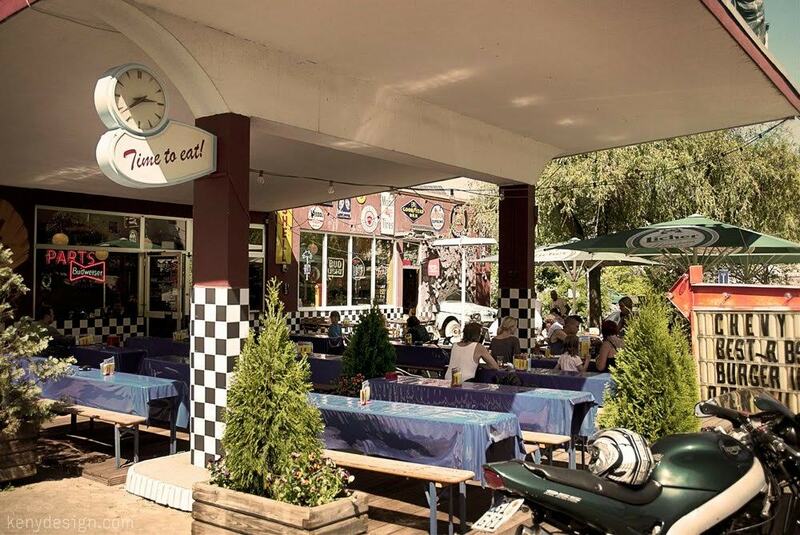 Marburg offers a myriad of eateries that cater to all tastes. Whether you fancy an American-style burger and fries on the side, healthy vegan snacks or a gourmet seafood platter, Marburg’s restaurants have got you covered. Here’s our pick of the best in the city. Shaky Shake has established itself as the hottest burger joint in town. The restaurant offers regional produce and meat, homemade buns and quality rather than fast food – and with great success. People rave about their American-style burgers, fries and milkshakes. Also on the menu are chicken burgers, beef-based classics and falafel burgers for the veggie guests. All day long, Bistro Early dishes up warm meals and is the go-to place for exam-ridden students who come here for the cosy atmosphere and the feel-at-home food, most importantly their long list of pasta and potato casseroles. Apart from that, you’ll find baguettes, pizzas, regular pasta dishes, salads and homemade lasagna on the menu. The Bückingsgarten rests at the foot of Marburg’s castle and from its terrace grants views of the entire city. Inside, the rustic atmosphere is dominated by dimmed lights, bare brick walls and wooden floors. Their sumptuous food is moderately priced and absolutely fantastic – think pot-roasted ox meat with veggies and spiced potato mash or wild mushroom ragout with tomatoes and roast onions. 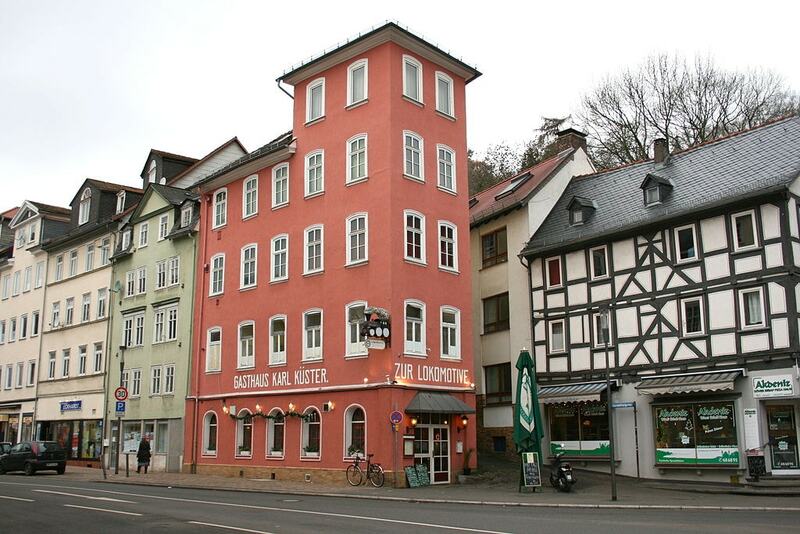 The name translates to Marburg’s ‘dining room’. The eatery lures with crossover cuisine of culinary classics and modern creations, a few of them being vegetarian and vegan Buddha Bowls, fresh sushi and maple-syrup-glazed duck. The modern approach is also reflected in the interior design – colourful lampion-like lampshades dangle from the ceiling and guests sit on bright green cushioned chairs. The American diner occupies a former petrol station, minutes outside the city centre. The restaurant is furnished with the obligatory ’70s-style bright red leather benches and bar stools, the walls clad in sheet metal signs and neon-light slogans. The menu is composed of typically American goodies such as burgers, spare ribs, nachos, chicken wings and baked potatoes. Lokomotive bei Alex enjoys cult status in Marburg. From students to older generations, everyone seems to agree that restaurant owner Alexandros Kallioras has mastered the art of gyros. Only fresh products find their way into the kitchen, and the gyros meat is prepared and spiced in-house every day, and you can easily taste that. This intimate restaurant brings ambitious food to the table. Weekly-changing four-course menus include all kinds of treats for gourmet food fans. Expect everything from sawfish millefeuille and scallop terrine to fallow deer medallions and lobster cannelloni. Dessert treats of port wine figs and pineapple carpaccio take turns with pears and basil sorbet or a soft cheese platter.